I really wanted a nice wheat sandwich bread that I can use throughout the week instead of using store bought bread. Something not too hard to make on a Sunday afternoon that will stay reasonably fresh for a few days. My first attempt baked up like a brick. Not even making it into croutons could rescue it. I attempted too much “tweaking” on the fly. I don’t recommend that. 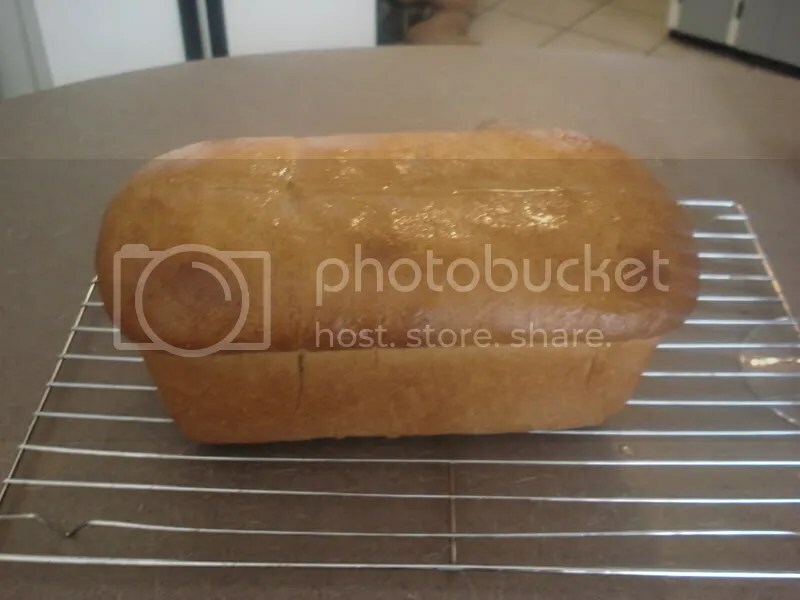 For my second attempt, I got some helpful advice from the bakebakebake community on LiveJournal, and this is how it turned out. The bread is slightly sweet, with a nice nutty wheat flavor and soft texture. Stir together warm milk, yeast, and maple syrup in bowl of a stand mixer and let sit until foamy (about 5 minutes). Mix in oil and salt, and attach dough hook. Slowly add flours with mixer on low speed until incorporated. Knead in mixer on medium speed for 6-8 minutes or until dough is no longer sticky and is easy to handle. Transfer dough ball to an oiled bowl, cover with plastic wrap, and let sit for 1 hour or until roughly doubled in size. After one hour rise in the warm oven. To prepare the oven, I set it to 170F with a small ramekin of water on the bottom rack while I’m prepping the ingredients, then turn the oven off once I start mixing and kneading. This keeps it around 100 degrees and nice and humid. Not to mention safely away from my curious cats. Bake at 350F for 40 minutes, covering with foil after 20 minutes. Bake until internal temp is 190F at the center of the loaf. Remove bread from pan and cool on wire rack. Brush warm loaf with melted butter. 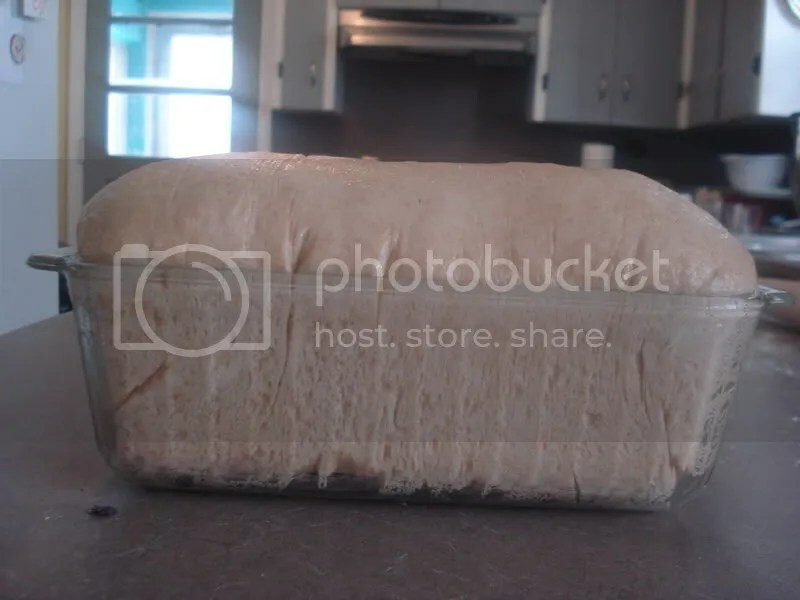 Store in plastic bag for soft crust.